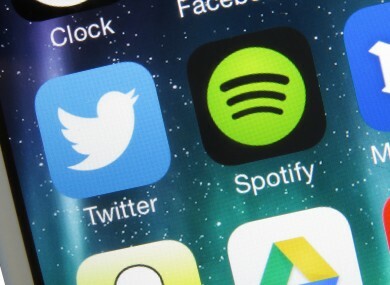 Spotify has accused Apple of using its App Store rules as a “weapon to harm competitors”. SPOTIFY HAS ACCUSED Apple of using the App Store rules as a “weapon to harm competitors” after it rejected its latest app update. The decision prompted Spotify to send a letter to Apple criticising its move and saying it raised “serious concerns under both US and EU competition law”. In a letter seen by ReCode, it says Apple rejected an update citing “business model rules” and told Spotify to use Apple’s billing system if it “wants to use the app to acquire new customers and sell subscriptions”. It continues a troubling pattern of behaviour by Apple and to exclude and diminish the competitiveness of Spotify on iOS and as a rival to Apple Music, particularly when seen against the backdrop of Apple’s previous anti-competitive conduct aimed at Spotify … we cannot stand by as Apple uses the App Store approval process as a weapon to harm competitors. The reason for Apple’s decision came down to a promotion where new subscribers could sign up to Spotify for €0.99, if they did this on the main site. Spotify tried promoting it through the app itself which is when Apple threatened to remove the app from its store. iOS apps aren’t allowed to send users outside an app to sign up or purchase services, which is where the problem occurred. Apple’s rules mean apps must only use iTunes’ billing service for payment or sign-up where it gets 30% of all in-app purchases. Meanwhile, Apple is said to be in talks to acquire Tidal, the high-quality music streaming service owned by Jay Z. The Wall Street Journal says Apple is looking to bolster Apple Music by leveraging Tidal’s ties to popular artists. Since it launched a year ago, Apple Music now has 15 million paid members. By contrast, Spotify has 30 million people paying for its service and 70 million free users and has been around since 2008. Email “Spotify really isn't happy with Apple's decision to reject its latest app update”. Feedback on “Spotify really isn't happy with Apple's decision to reject its latest app update”.